I'm curious. 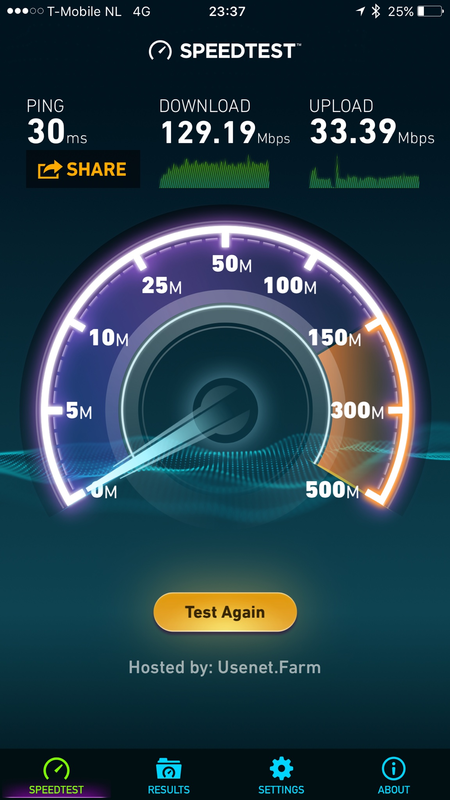 How are the speeds mid day? I see a lot of your tests are at 7 and 8 am. Most networks aren't strianed till mid day when everyone is up / out and about. Here is the log I have on my s8. Here are more tests to show those 8 am tests were not a fluke. That is pretty amazing speeds for mid-day for sure. T-Mobile is smoking in your area :P.
Those are some crazy speeds! Might have to try TMo if I wasn't concerned about coverage. Just depends on your area. I left Att nearly 2 years ago because of coverage issues. 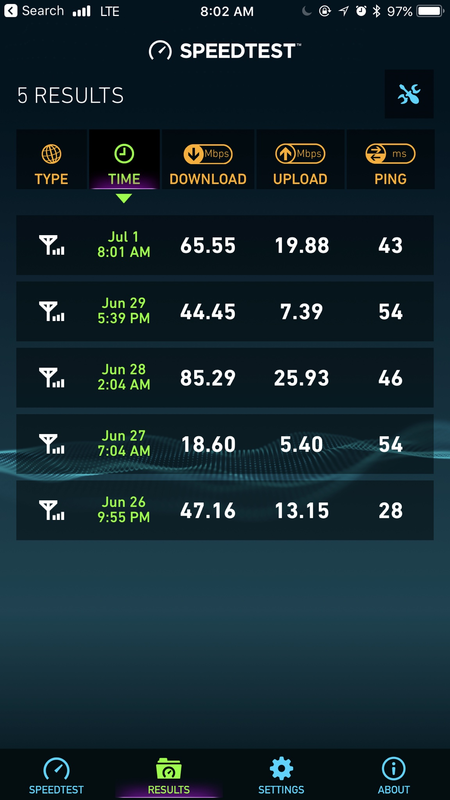 My coverage has been much better with greatly increased speeds with TMO. And much better rates. Nice! That's what I get at my work with Verizon as well. I love these carriers fighting.. just means it benefits us more as they fight for that $. My speed stinks, glad I have Wi-Fi at home.